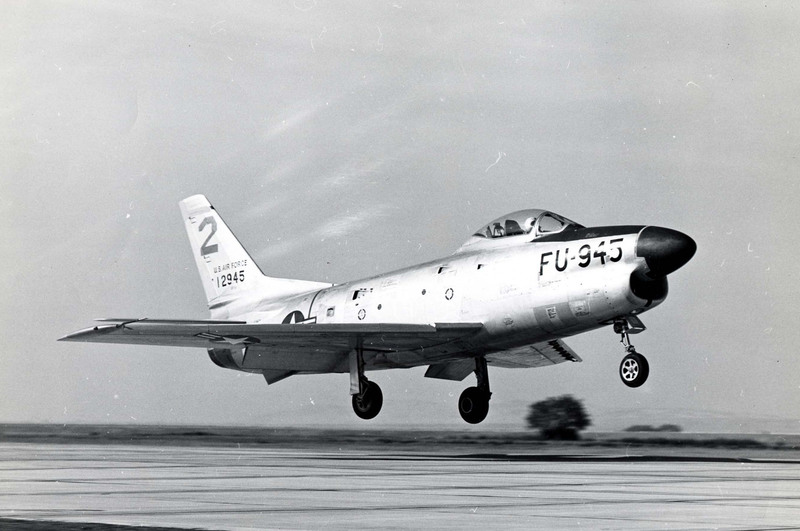 19 November 1952: Captain James Slade Nash, U.S. Air Force, a test pilot at the Air Force Flight Test Center, Edwards Air Force Base, California, flew a North American Aviation F-86D-20-NA Sabre, 51-2945, to a Fédération Aéronautique Internationale (FAI) World Absolute Speed Record at the Salton Sea, in the Colorado Desert of southeastern California. Operating out of NAS El Centro, Captain Nash flew four passes over a 3-kilometer course at an altitude of 125 feet (38 meters). 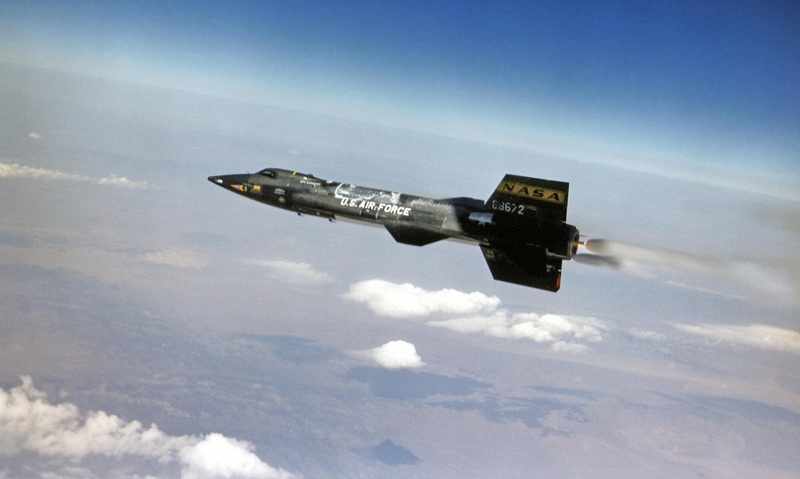 The official average speed was 1,124.14 kilometers per hour (698.508 miles per hour).¹ He was awarded the FAI’s Henry de la Vaulx Medal for achieving the World Absolute Speed Record. 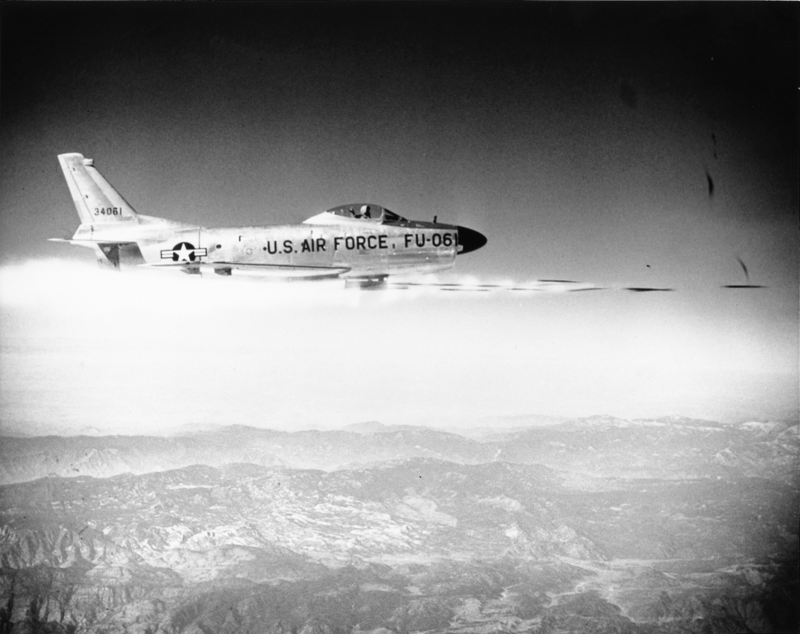 The desert area, few miles east of Palm Springs, was the setting for a new international airplane speed record last week when an F-86D Sabre jet roared over Salton Sea at 699.9 miles an hour. 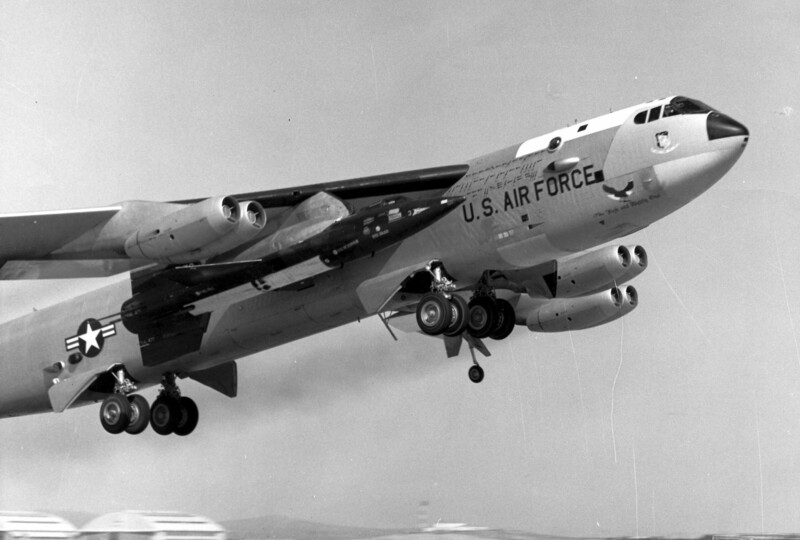 It was reported that in test runs previously the plane had exceeded 700 miles an hour. Risking his life to set the new record was Capt. Slade Nash, a 31-year-old Sioux City, Iowa man with three children. 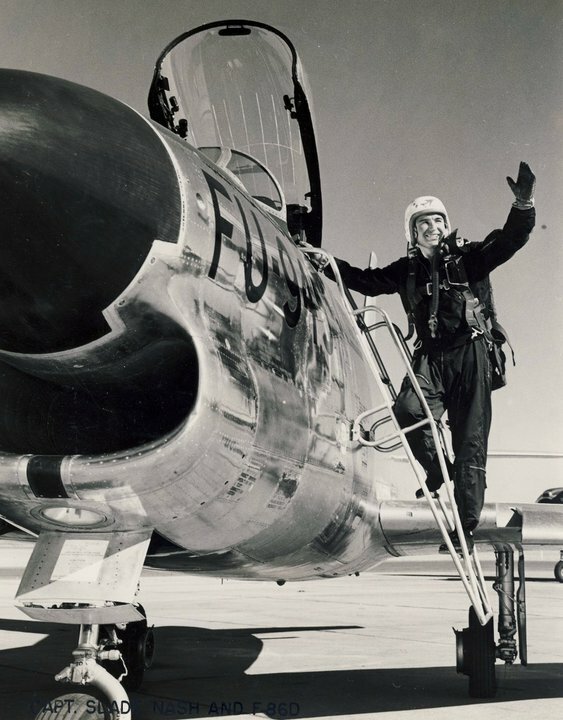 His wife, but not his three daughters, watched as Captain Nash barreled the swept-wing North American interceptor jet four times over the course, as close as 100 feet to the ground although he could have flown it at 328 feet. Nash had only to hit 676 miles an hour to shatter the previous world speed record set September 15, 1948, by Maj. Richard L. Johnson, air material command test pilot, at Edwards Air Force Base in an earlier Sabrejet—the F-86A. Johnson’s Mark was 670.981 m.p.h. and Nash was required to fly 5 m.p.h. faster to set a new record. 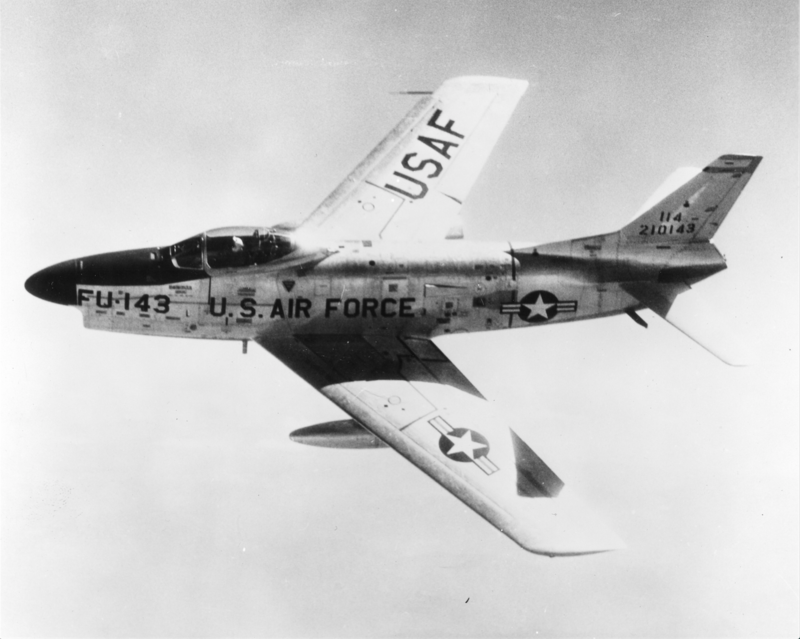 NASH’S SABRE jet carried a full rocket load. Adding hazard to the inherent danger of gunning a plane to near 700 m.p.h. was the low altitude below sea level—at when the run for record was made. Fuel requirements are much higher at sea level than at high levels and air pressure on the plane is about four times greater. In addition, aerodynamic problems of drag, buffet, stability and structural strength are greatly increased at sea level. However, low altitude and higher temperatures make higher speeds possible. CONDITIONS WERE NOT ideal for the test. Officials had hopes for 85-degree temperatures, but, at approximately 1:45 p.m., when the speed runs were made, the reading was only 75.5 degrees. Nash came within shouting distance of the speed of sound—about 760 m.p.h. at sea level. The speed of sound—called MACH 1—has many times been surpassed by jet planes in dives at high altitudes—in fact, most jet pilots pass this barrier at some time or another—but never under the considerably more difficult conditions of an official attempt to break the world speed record. NASH ALSO SET another record—being the first pilot to break a world speed record at below-sea-level altitudes. 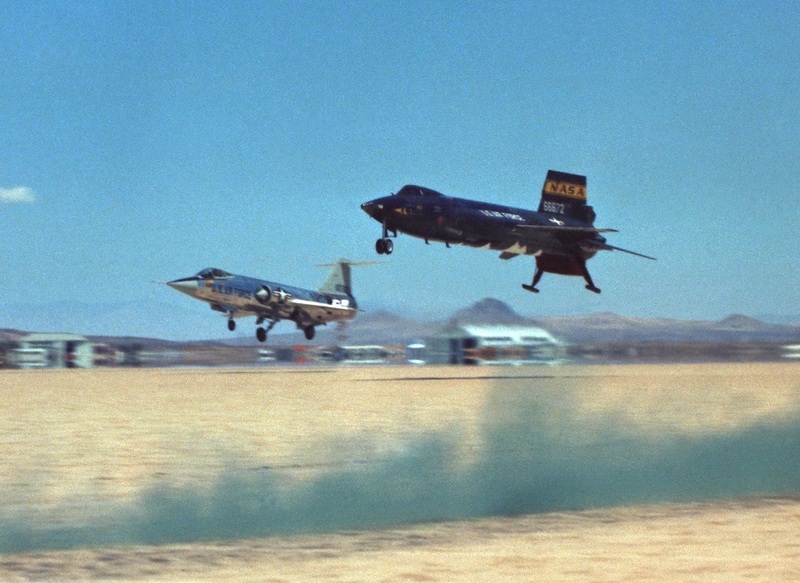 The Salton Sea is 235 feet below sea level and Nash’s Sabre jet was not believed to have gone above the sea level mark during his speed runs. Scene of the run was a desolate, gully-slashed barren shore land about a mile and a half below Durmid, a railroad crossing, and just south of the Riverside-Imperial county lines. About 100 newsmen, cameramen, manufacturers’ representatives and Air Force members were present. Head timer was C.S. Logsdon of Washington, D.C., director of the NAA Contest Division. 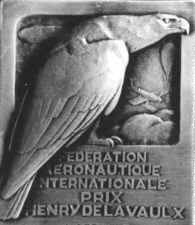 Rules of the Federation Aeronautique Internationale and the Nationals Aeronautics [sic] Association (NAA) were followed. Official timing was made with high speed movie cameras. Processing of those films was necessary before the exact official speed of the run could be determined. 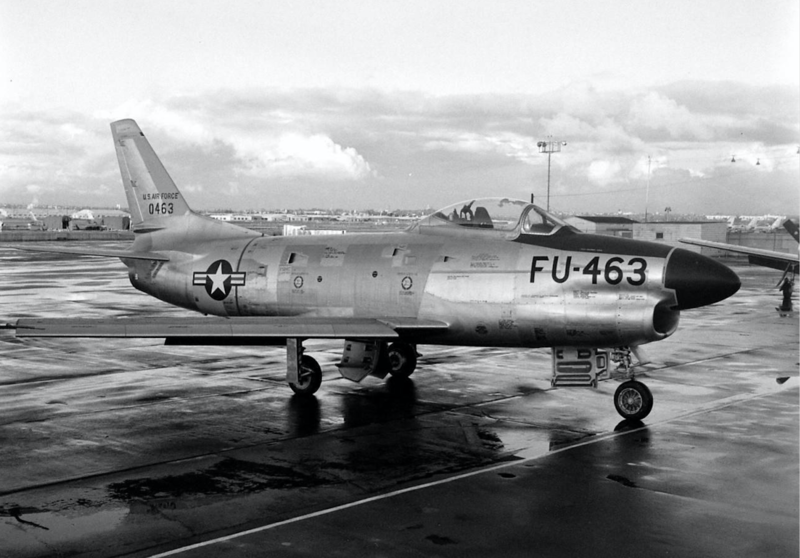 The record-setting F-86D, 51-2945, was damaged in a ground collision with a Douglas RB-26C Invader, 44-35942, 29 October 1953, at K-14, Kinpo, Korea. 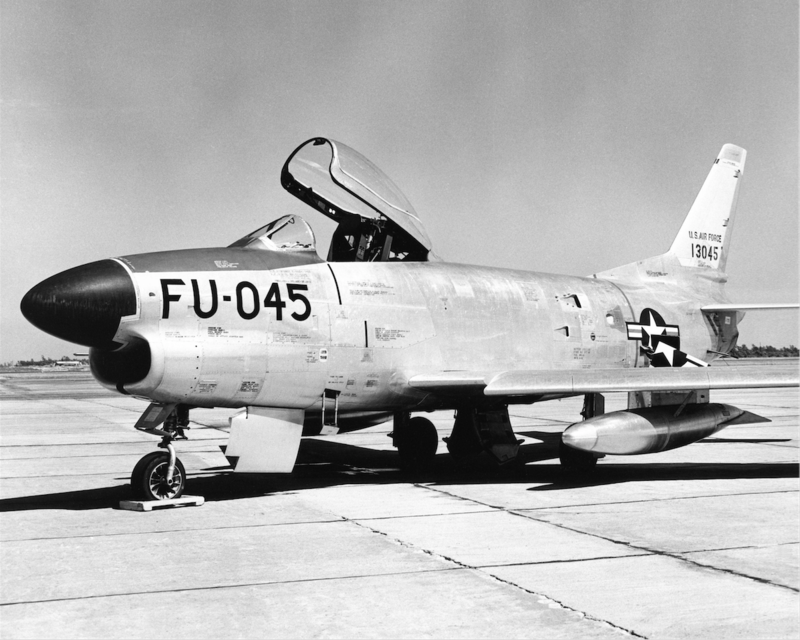 The The North American Aviation, Inc. F-86D Sabre was an all-weather interceptor developed from North American Aviation F-86 fighter. It was the first single-seat interceptor, and it used a very sophisticated—for its time—electronic fire control system. It was equipped with search radar and armed with twenty-four unguided 2.75-inch (69.85 millimeter) Mk 4 Folding-Fin Aerial Rockets (FFAR) rockets carried in a retractable tray in its belly. 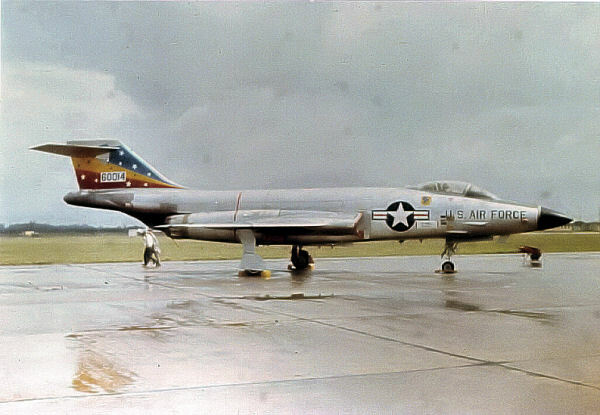 North American Aviation, Inc., F-86D-50-NA Sabre 52-10143. James Slade Nash was born at Sioux City, Iowa, 26 June 1921. He was the older of two sons of Harry Slade Nash, a farmer, and Gertrude E. Parke Nash. He attended Iowa State University before entering the United States Military Academy, West Point, New York, 1 July 1942. He graduated with a Bachelor of Science degree and was commissioned as a Second Lieutenant, U.S. Army Air Corps, 5 June 1945. Slade Nash completed flight training and was promoted to First Lieutenant, 29 April 1947. He served as a pilot with the 8th Photographic Reconnaissance Squadron at Johnson Air Base, Sayama, Japan, and the 82nd Reconnaissance Squadron at Yokota Air Base, near Tokyo, Japan, flying the Northrop RF-61C Reporter. 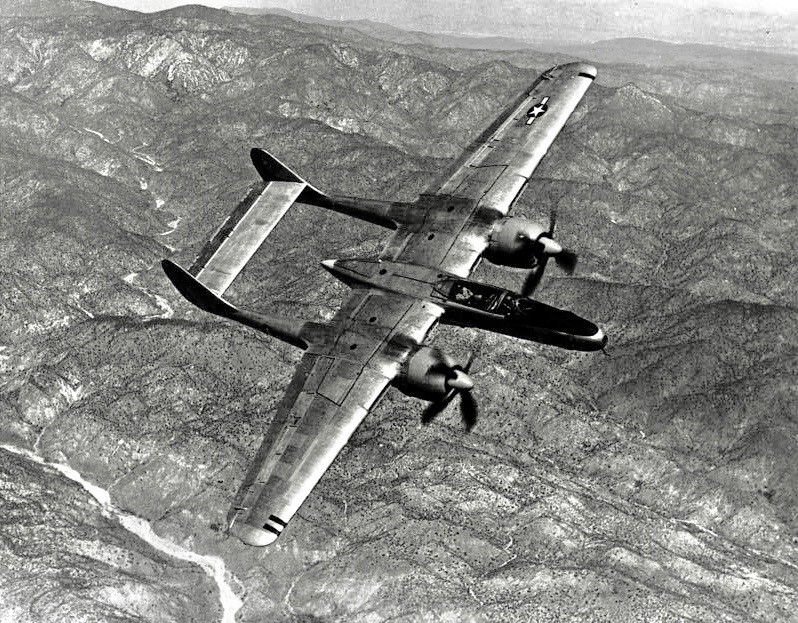 Northrop RF-61C Reporter reconnaissance aircraft. Nash began training as a test pilot at Wright-Patterson Air Force Base in September 1948. Captain Nash was then assigned to the Air Force Flight Test Center (AFFTC) at Edwards Air Force Base, and remained in that assignment for six years. 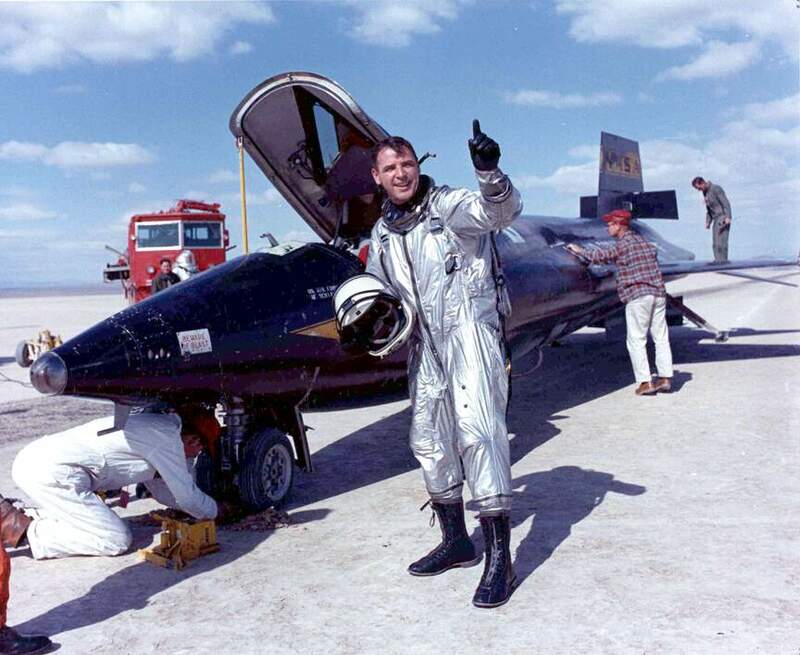 He was involved in testing the delta-wing Convair XF-92 and YF-102, and flew many operational U.S. fighters and bombers. After overseas staff assignments, Nash attended the Air Command and Staff College, Maxwell Air Force Base, Montgomery, Alabama, graduating July 1960. He served in the office of the Secretary of the Air Force until 1963, and as a liaison officer to the United States Congress. From August 1964 to October 1965, Nash attended the Army War College, Carlisle Barracks, Pennsylvania. Major Nash commanded the 92nd Tactical Fighter Squadron at RAF Bentwaters, Suffolk, England, and next was the deputy wing commander of the 81st Tactical Fighter Wing. Promoted to Lieutenant Colonel, he was assigned to Headquarters, U.S. Air Forces in Europe. Colonel Nash served as vice commander of the 8th Tactical Fighter Wing at Ubon-Rachitani RTAFB, and flew 149 combat missions in the new gun-equipped McDonnell Douglas F-4E Phantom II. MG James Slade, Nash, USAF, Chief, Military Assistance Advisory Group, Republic of China, 1973. Nash was promoted to Brigadier General in 1969, serving as Vice Commander, Air Defense Weapons Center, Tyndall Air Force Base, Florida, and next, Vice Commander, Defense Special Projects Group. He was promoted to Major General on 1 September 1973, with date of rank retroactive to 1 February 1971. General Nash served as Chief, Military Assistance Advisory Group to the Republic of China, and later, to Spain. From 1973 until 1976, Major General Nash was head of the Military Assistance Advisory Group to the United Kingdom. He retired from the Air Force in 1979. During his military career, he was awarded the Distinguished Service Medal, Legion of Merit, Distinguished Flying Cross with Oak Leaf Cluster (two awards), and eight Air Medals. He was rated a command pilot with more than 6,000 flight hours. Major General James Slade Nash died 19 March 2005 at the age of 84 years. He is buried at the United States Air Force Academy Cemetery, Colorado Springs, Colorado.